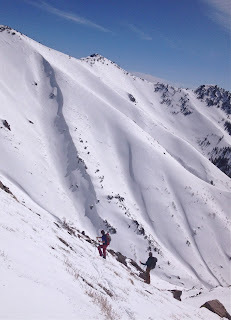 Traveling to Japan to ski powder with my Dad was all-time. I still can't believe how good it really was. The travel slog back home to the U.S. was legit, and I was worn out for a while. However, there was little time to rest as I only had a week or so to get back to work in the Wasatch before I had to board another airplane for another trip soon after. Honestly, it felt more like a layover at home then it did actually being home. The time flew by. Before I knew it I was packing again even though it felt like I had just unpacked from Japan. ^A sunrise tour in my backyard of the Ogden Wasatch Range certainly helped me feel at home again. I did not have much time. Most of the time I really wanted to spend with my wife and young son, but a few days in the backyard mountains was also necessary. I needed to get some content work done, and getting a feel for the snowpack since I had been gone so long would also serve me well. ^A walk in the woods. ^Hooking up to ski with my old friend and long time touring partner, Ben Geiger, is a quick way to get acclimated to the range and the snowpack. Ben is a really astute backcountry traveler. He spends most of his time in the Ogden range as well. A day with him usually leaves me feeling rather well caught up on the ebbs and flows of the Ogden Wasatch Range's snowpack. ^Ben always has a handle on where the goods are at too. Even if it means crossing super sketchy traverses over the top of massive exposure! There is no one I trust more in these kind of scenarios though. Ben and I have been in many sticky situations together in the mountains and I always know where his head is at. We have run this drill so often that we don't even need to speak to each other anymore in these kinds of ordeals. We can read each other and communicate with series of hand signals, nods, and hoots. 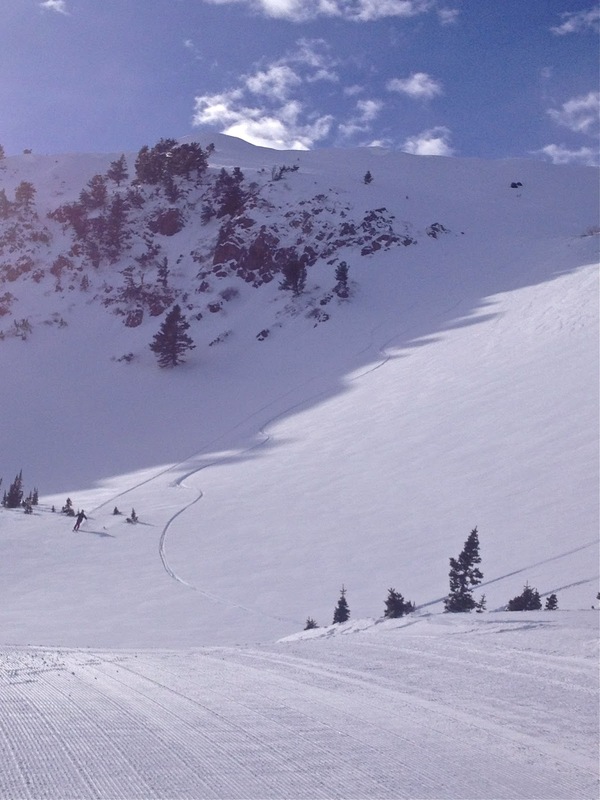 ^In the picture above, Ben is cruising out of yet another fresh backcountry line just outside the Snowbasin boundary. Ben and I have been at it so long in the Snowbasin periphery that we rarely have to cross other tracks. Even days and weeks after a storm we can still find so much clean skiing in our home range. 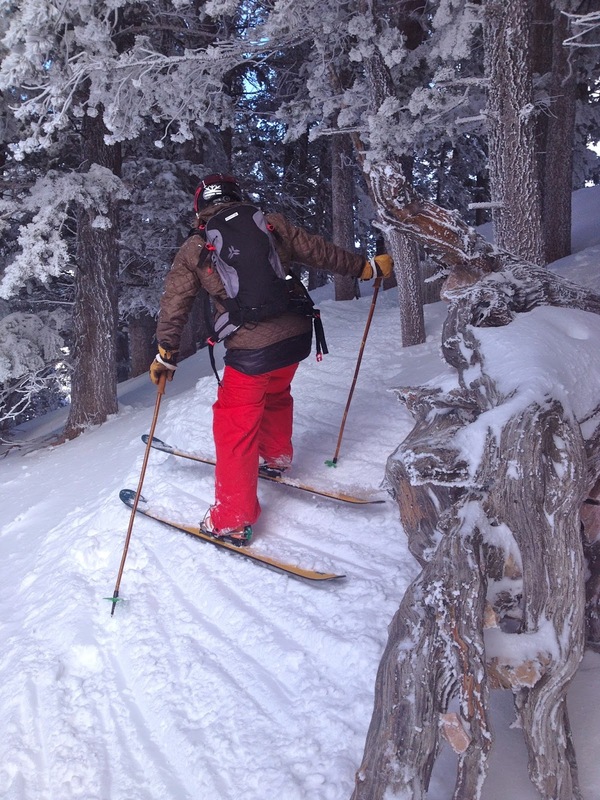 We have a favorite saying that we break out every time we stand above a totally fresh line just outside of Snowbasin. It goes, "Its still Snowbasin!" and is typically followed by a high five and a conversation about who's turn it is to take the first fresh line. 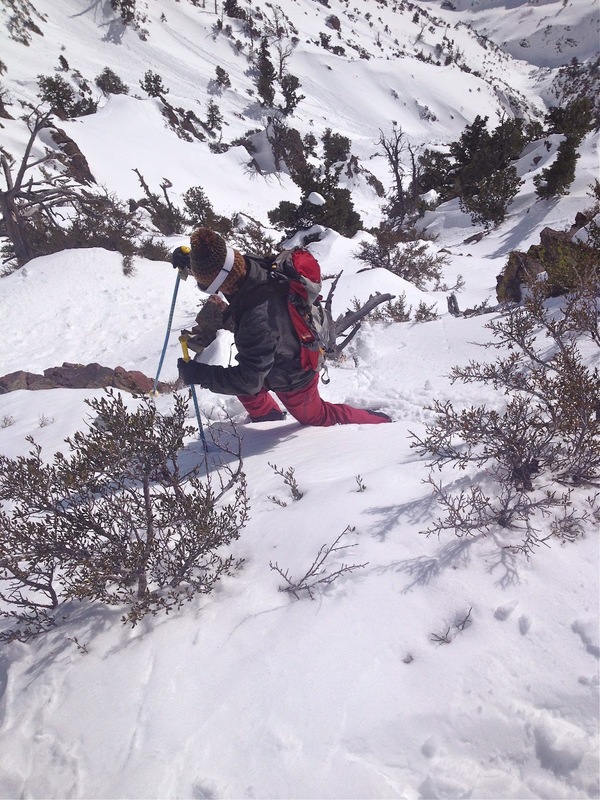 ^My friend, Alex LeBlanc, is a tough as nails young freeheel skier from Layton, Utah. I rallied him to help me out with some content work I needed to catch up on. I am the ardent utility man over at Telemark Skier, and as such, every once in a while I get behind the lenses to shoot video and photographs. Alex and I got out for some photography work at Snowbasin. As usual, we did really well despite some less than ideal sunlight due to the famous Snowbasin "death cloud". This aptly named cloud cover tends to hang over Snowbasin after a storm moves out because the main ridge of the whole resort runs north and south. This means that clouds get captured by the ridge and then must rise up and over the ridge to move along to the east. The clouds tend to stack up making it difficult to shoot imagery with good light as the sun comes in and out of view through the scattered cloud cover. It used to frustrate me to wait around for blue holes in the sky, but these days I just adjust the shooting plan accordingly as we go in order to make due of the full light or just half light piercing through the passing clouds. 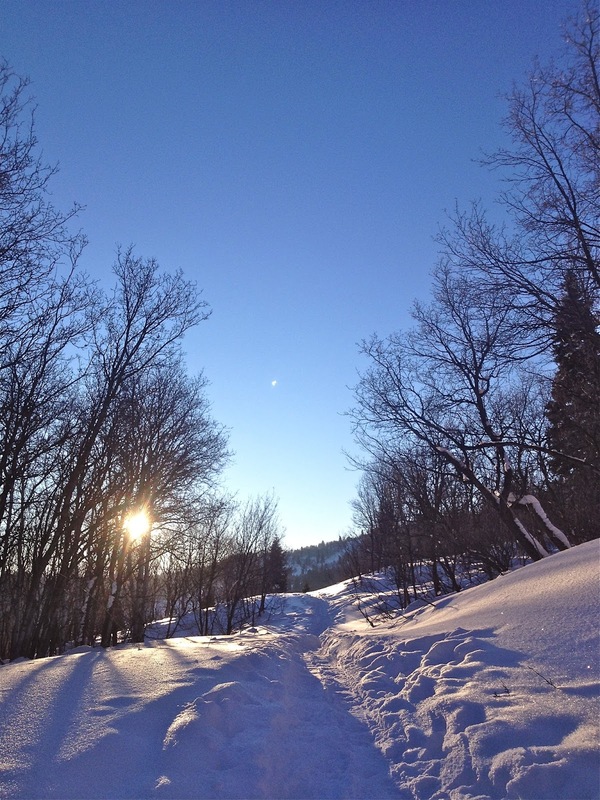 ^Alex is a great telemark skier, but he is also getting the hang of the photography game too. Usually when I shoot with young guys fresh to the photo game it takes a while for them to get the idea of what looks good on camera. However, Alex seems to have a natural artistic eye for the imagery. I have only shot a few days with Alex, but by the end of the day he was picking out shots and lining up ideas all over the mountain. It is nice when the athletes have a good handle on the work to be a productive participant to the process rather then simply just waiting for me to come up with things to shoot. I don't like to tell athletes what to ski for a variety of reasons, so when a new skier gets the hang of that everything goes a lot smoother. Alex is getting pretty damn smooth too. He isn't afraid to go for it either once he knows what he wants to do. 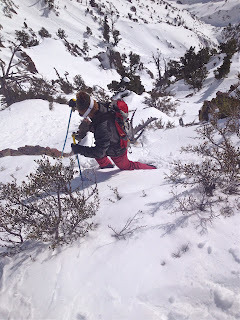 Alex is doing all the right things to be a really great backcountry telemark skier. I am stoked to see his progress as well as his diligence to grow his skill set and learn from others around him. Tough, and smart dude. Ripping telemark skier too. ^Before I knew it the time had come to leave. My short layover at home was done. I was really sad to leave my little kiddo and my wife again. 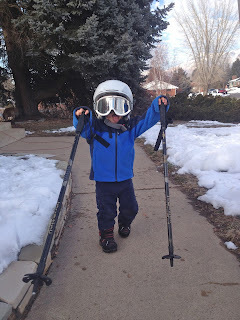 It seemed like just days before when my son, Amos, was helping me unpack from Japan pulling out all my gear to wear in the front yard as he marched around with my helmet and ski poles. I was not ready to leave, but my schedule was calling. I had obligations to friends and family in the U.P. of Michigan for Midwest Telefest, and I am not one to back away from obligations because I am homesick. I just had to buckle down to pack up my bags again. My alarm was set. The itinerary was planned. 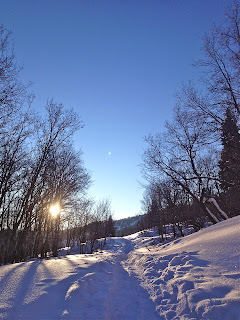 It was time to get back down to business, which isn't so bad really when it is the business of telemark skiing. The lake effect storms off the Great Lake Superior were due to be pumping full on in the Keeweenaw Peninsula region. 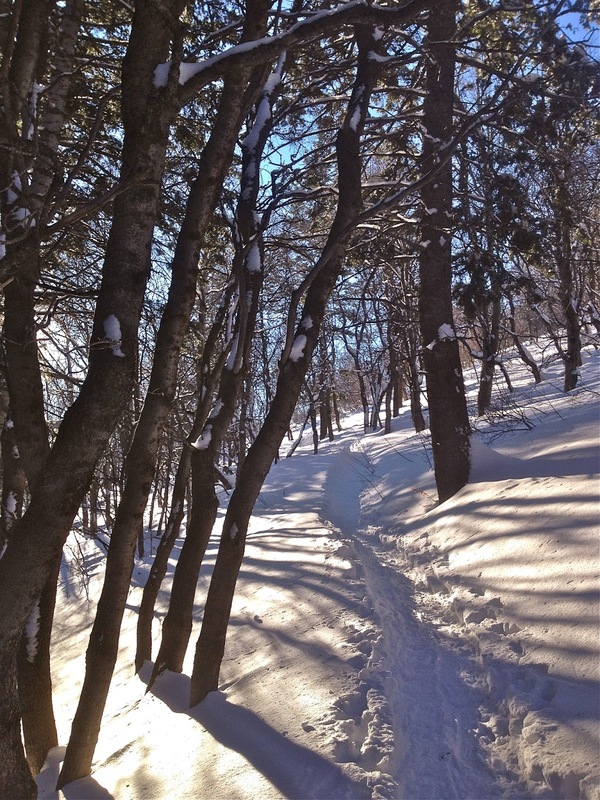 The resorts of Mount Bohemia and the Porkies were looking to be prime for some seriously cold and deep snow. While I was sad to be leaving so soon, I couldn't be too upset about the prospect of midwest powder with my midwest tribe.